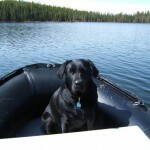 Hi Gerry I'm getting good at setting up the boat, and the family loves this unit! The 20 hp Honda pushes the HD 470 at about 10 to 18 mph. Love this boat and would recommend a Seamax boat to anyone. We get lot of on lookers when we set up or tear down. One idea I have to improve the boats is a larger d ring on the bow so a person can get a good hold on it for launch or landing reasons. Just a quick note to thank you for all you did to ensure that I was able to give my husband a fantastic gift for our anniversary last week. He was surprised and thrilled with the HD330 and has already had it out on Lake Koocanusa this past weekend. No photos yet but there is still time...headed to Lake Kananaskis this weekend. 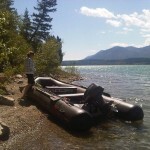 Here's a pic of one of our boats on May long weekend. They ride great with the Yamaha 25's we put on 'em! Eddie and I will have more pics in a week or two. We took the boat out this weekend for its maiden voyage and everything went well. We didn't get any pictures of us in the boat but Wren took some shots of me getting it into the water. 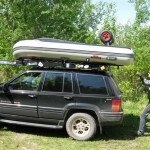 I rigged up a carrier for the top of the truck, much easier to transport and load and unload. It was a good day on the water. Gerry the wife and I had a good day yesterday trying out the HD 380 and new mer motor on Ghost Dam. All in all the only major thing I would have done different is I would have gotten a smaller model as the 15' is a bit to heavy to lift onto my trailer (see picture attached) and turned out to be bigger then we needed but other then that its great. I have attached some pictures. Tammy loves the pedestal front seat as it allows her to have excellent room for casting and the ability to tend to the little girls. 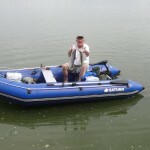 Had a lot of fun with this boat and thanks for the great hassle free experience purchasing it. I have recommended your boats many times so far. I just thought I'd drop you a line and a picture of me enjoying time on my Seamax HD 380. I found a Yamaha 25hp 3 cylinder motor for it. I was hesitant at first due to the weight (about 140 lbs due to electric start and 3rd cylinder), but I have to say, the boat doesn't squat and handles it very well. I saw no transom flex when I throttled it out. As for handling the waves, we felt very secure with some very big waves early last week. The boat just rolls easily with them. My friend (elderly gent) who I bought my first HD with just loves it for the stability. He's a big man at 6'3 and likely 250lbs, but he gets up to walk back and forth when fishing. His old boat would have seen him in the lake! I've taken it on the Peace River 3 times and the family loves it. We did 26 km/r (14 knots) against the stream with a full load of six. It did 42 km/h (22.6 knots) with the current. I was very impressed. I'm trying to talk my Fire and Rescue group into buying the 470HD for the river here. We're waiting on our Casino payout before we make a purchase, but I'll keep pushing for the Seamax HD! Just a note from a 3 time happy customer! (HD330 was great, but didn't like the air floor as much, so had to sell it). Speaking of floors, any talk or thought on a plastic floor for reduced weight? It would be nice to through the boat on my roof rack without taking out the floor weight. I just wanted to send you a quick note.........we absolutely love our boat! We got out a ton last summer and honestly I don’t have one bad thing to say about it! Inflation and assembly is a breeze now! Great layout and classic looking alternative to traditional Cat styling. I've been Sold on the twin hull design after years of abusing similar small craft cats in conditions that leave 30 monos fast-lined. Love the looks of the 26 Tideline and can't wait to see it perform. I'd be hard pressed to find a better shallow water platform than my flats cat but would welcome the availability of an efficient, good looking offshore cat to run 75NM+ day trips off Galveston TX. Hi Gerry! Thought to send you a few pics of our boat! 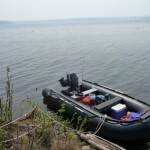 Here it sits at Babine Lake BC We used a bit of gear which fit in the boat nicely and caught some rainbow trout. We used a 15 HP motor which was a bit heavy but once it was on the boat was easy to steer. 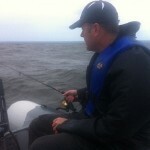 We bought rod holders and attached them to the seats as well which aided us in trolling for fish. 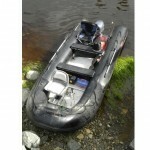 We find using this boat is great for lake fishing. We haven't tried river fishing yet as we are still getting used to boating. 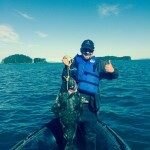 We were on the Pacifac Ocean with this boat from Stewart BC. We couldn't go to far as the water was a bit rough. We noticed that the bouyency of the boat is great as we can stand in it without much effort. Hi Gerry, Lovin the boat! Just wanted to say I've had one of you HD series boats for about a year now and have been really happy with it. The only issue with it was I managed to break one seat but that was probably my fault driving to fast on a rough day. It speaks well of the boat that I felt comfortable enough with it to even drive it that hard. So far no other problems and I recommend it to anyone that asks. Thanks Gerry for the great service and useful information. My whole family loves the boat and the fishing. My only regret was I didn't take your advice and buy the wheels and had to come back. My son, Matt and I took the boat out on its maiden voyage last weekend (June 22). We went to Gull Lake and spent several hours in it, as we fished for the "big one". We christened "Red October" with a catch of pike and walleye. Both of us were very impressed by how well the boat handled, and it's stability. If Rick would have been with us, I'm sure I would have been impressed by the fact it floated! We will check that out another day. We used a 5 hp Honda motor and it pushed the boat just fine. Can't waterski with it, but for fishing purposes it was good. The rounded pontoons at the back of the boat make a tremendous difference to how well it moves through the water. The front doesn't rise up and cause more resistance by pushing the bottom of the boat through the water. 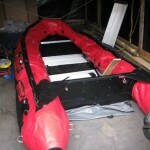 We couldn't believe how easy and quick it was to assemble and inflate the boat. I think we did it inside of 20 minutes. The power compressor makes a world of difference, and was a great investment. Just as impressive, is the aluminum floor. The pieces slide in and snap into place a lot easier than a wood floor. I have done it with a wood floor, and while it is nice, I believe the wood probably swells with moisture and makes it more difficult to fit. We received our boat today, and it's a real BEAUTY! The size is perfect for us too. Thank you for the bench cushion and case not expecting that! Can't wait to get on the water. We are glad we found your website, the HD series quality and looks are superior. Thanks for the quick and friendly service. Took her out today on Twin lakes here by Rocky. She preformed beautifully with my 40lb thrust Minkota. Had a little trouble with the wheels we installed but after I figured out I could store them in the up position while on the water instead of taking them off and trying to put them on in the water. Using the quad trailer for transport so having the wheels are great. As you can see Maggie was a little unsure and didn't like the aluminum floor so carpet next trip. Is she spoiled or what. Boat was great to handle. Thanks for all your super help!!! 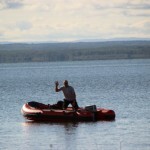 The boat arrived via Purolator at the Marina on May 10th as promised. It went together very weak and I am extremely pleased with it. It appears to be everything we were told it would be at the Toronto Boat Show. 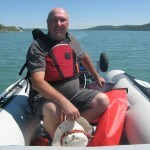 I have recommended your product to Marlon Marine in St. Catharine's where I shop for most of my boat supplies. They took your information and said they would be getting in touch with you. As anticipated, we find the boat expands our vacation camping experience significantly. There are a few quirks we've noticed with the boat, however we'll wait until most have been recognized, then we'll approach you at a later date. FYI, I bought this one from you because of your service and the way you presented yourself on the phone. Most other company's I contacted didn't give me the time of day. I'm not trying to toot your horn but I thought you should know that your service was appreciated and ensured a sale. Any questions feel free to give me a holler. 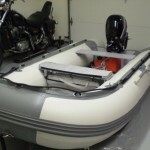 We are mostly retired and extensively researched our light-weight/portable/inflatable "dream" boat. After a month of searching, nothing answered all our requirements... that is, until we discovered you! Not only are you a Seamax dealer but you are the "exclusive" designer/dealer of the Seamax HD-series (which is almost a too well-kept secret!). You listened to our needs (likes/dislikes) and made sure we were buying for the right reasons. You are always personable, honest and available to discuss/trouble-shoot your product. Everything you explained/promised came to fruition. We are more than delighted/satisfied with our 330HD-Seamax!.....Why? Many of the "extras" we thought we'd be paying for were included, such as: inflatable floor option (our dogs' nails cannot puncture), painted marine plywood seats; one of them with a pillow-top/zippered bag compartment, Canada Transport certified, bumper-to-bumper warranty.... to name just a few. I just bought your 380 HD and loved it on the river. A buddy of mine is interested in going halfers with me on your 330 HD air floor if you still have one. Save it for me and I'll pick it up in the afternoon tomorrow (Friday) Thanks! water. Rapids with 3 foot waves seemed like ripples. Hey Gerry,what can I say....WE LOVE IT!!!!! 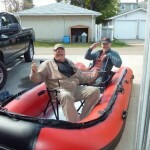 Bought our first boat off Gerry back in June of 2011. After putting it in the water for the first time,we discovered that it was taking on water. I called Gerry,he told me what to do to find the leak and to bring it to him to see for himself. Turned out it had a minor manufacture defect..oh no,what do we do now? Well,I gotta say,this man stands behind his product 150%!!! He took the boat back and I upgraded to a bigger boat.A BIG#1 in customer service! 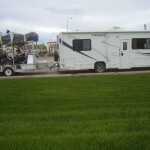 Our 1st trip was on May 29th. Our new hd380 worked fantastically! With our 9.9 horsepower outboard we easily got it on plane! Unfortunately, a bad batch of gas stopped us from booting around Lac la Nonne too long...but we threw the electric motor on it and fished for a couple hours! Still haven't put the boat in the water yet but hopefully the first week of June. I have attached some photos you may post to your website. I have been practising inflating/deflating and it is much easier with the electric pump but not as good for your legs as the manual one. I am still wrestling with making the boat compact enough to fit into the bag but with time I'm sure I'll be an old pro at it. Gerry, I wanted to thank you for creating such a well built inflatable to your exacting specifications. I'm sure I will enjoy the boat for years. Gerry, I've had a blast with my 330! Runs great with my 6hp Evinrude I rebuilt from top to bottom. My wife and I hit some lake for elec only, my new 35lb thrust Minkota is a dream to use and the rainbows I caught weren't bad either. With my handicap its a snap to fill, the pump is awesome, worth every penny. It stores great in my travel trailer. We are off next week again, up north to slay some more walleys! 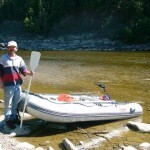 Hi Gerry, this is Darryl from whitecourt. We took our boat yesterday for the first time, got a great way to tie the seats together, will take a photo later to show you. Winds picked up over 20 k with whitecaps over a foot and the boat handled perfectly, but the 9.8 won't plain off, and goes about 12 kph with two of us, but handled well on every other test I performed. Also because the waves and wind were so strong and we were out having a blast, the fishery officers decided to check us to see if we were drunk or just crazy. After they decided we were fine and just having fun they said we were fine to continue. It seem like we were in no danger. It was a blast. Thanks for the great boat, and the pump worked perfectly also, takes about 5 minutes, really impressed. Just thought you would like to know. " I am still loving my HD 470 as you can see from this picture I took last week however the pull drains on my boat have seen better days can I order a new set? We're extremely happy with the performance. We had the 380 out today with a "new" 2-stroke 9.9 Johnson, and it planes absolutely fine even with my wife and I sitting right at the transom and the fuel tank in the back. The flat tube ends seem to make a huge difference, with Sarah at the front there is almost no bow rise and it planes at super low speed. We're extremely happy with the performance. Top speed today was 26km/h with the 9.9. I'm trying to source a 15hp carburetor to bump the motor up. It would be nice to cruise at the same speed without running at full throttle, but otherwise the 9.9 moves the boat quite well. I'll let you know how it runs with a bit more power!